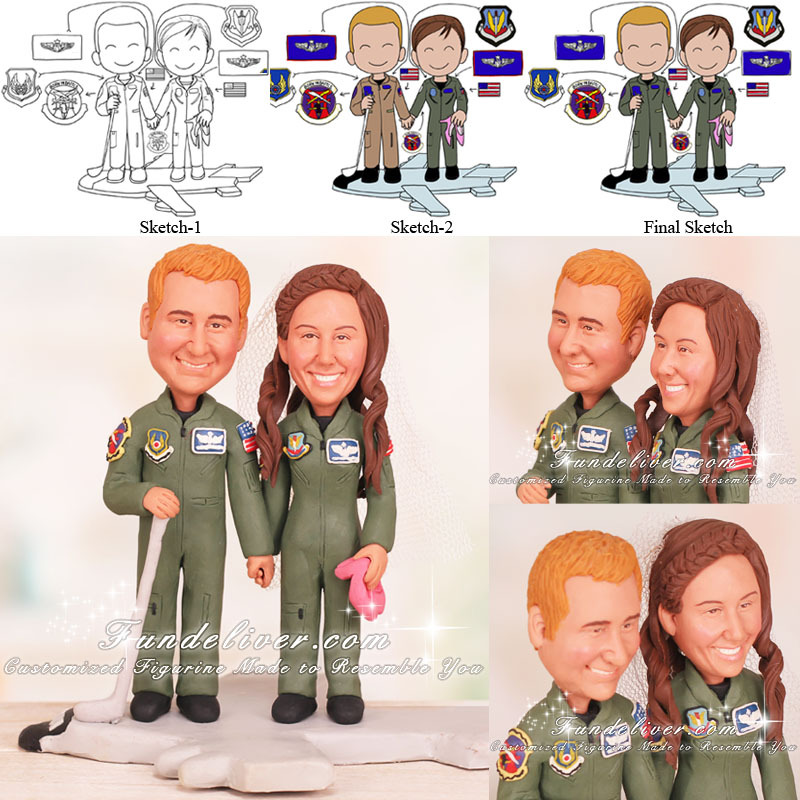 This is a completely customized couple in USAF flight suits standing on an aircraft wedding cake topper ordered by one of our customers. 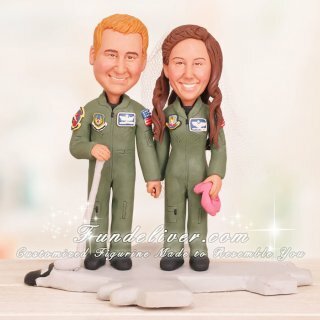 They would like the groom and bride figurine to be in uniform flight suits with patches and the bride holding a pair of pink high heels and the groom holding a golf club. They are both standing on an aircraft holding hands, smiling.